Wayne National Forest spans twelve counties in Ohio, including Vinton County. It is a small national forest, only about a quarter of a million acres. There are over 300 miles of trails for various recreational pursuits, including biking, horseback riding, and off-road vehicles. Visitors are welcome to camp, hike, canoe, fish and hunt. Wayne National Forest was established in the foothills of the Appalachian Mountains in 1934 and named for American Revolutionary War hero Anthony Wayne. Before the area was made a national forest there was much coal and iron mining. Wayne National Forest has much to offer. Several covered bridges can be found, and one of Ohio’s natural bridges. 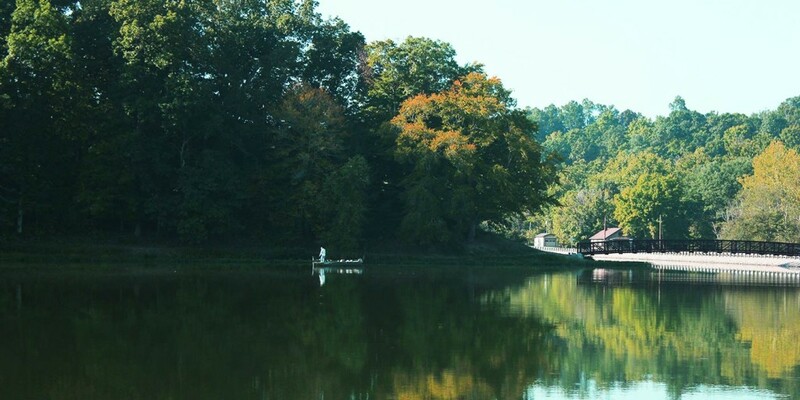 Lake Vesuvius, Timbre Ridge Lake, the Little Muskingum River, and the Hocking River all provide opportunities for boating and fishing. Over 300 miles of trails for horses, bikes, and off-road vehicles. Hunting is allowed in season. The forest is a great place for camping and backpacking as well.